Joan I of Navarre (14 January 1273 – 31 March/2 April 1305) (Basque: Joana I.a Nafarroakoa) was queen regnant of Navarre and ruling countess of Champagne from 1274 until 1305; she was also queen consort of France by marriage to Philip IV of France. She was the daughter of king Henry I of Navarre and Blanche of Artois. Joan was born in Bar-sur-Seine, Champagne on 14 January 1273 as a princess of the House of Blois. The following year, upon the death of her father, she became Countess of Champagne and queen regnant of Navarre. Her mother, Blanche, was her guardian and regent in Navarre. Various powers, both foreign and Navarrese, sought to take advantage of the minority of the heiress and the "weakness" of the female regent, which caused Joan and her mother to seek protection at the court of Philip III of France. Her mother arrived in France in 1274, and by the Treaty of Orléans in 1275, Joan was betrothed to one of Philip's sons (Louis or Philip). Blanche therefore placed her daughter and the government of Navarre under the protection of the King of France. After this, Joan was brought up with Philip. It is, in fact, uncertain whether she ever resided in Navarre during her childhood. At the age of 11, Joan married the future Philip IV of France on 16 August 1284, becoming queen consort of France in 1285 a year later. Their three surviving sons would all rule as kings of France, in turn, and their only surviving daughter, Isabella, became queen consort of England. Joan was described as having been plump and plain, whereas her beautiful daughter Isabella resembled her father more in physical appearance. As regards her character, Joan was bold, courageous, and enterprising. Joan was described as a success in her role of Queen of France: she secured the succession, she was an efficient mistress of the royal court, a dignified first lady and had a very good relationship with the King. Having grown up together, the couple was evidently close to each other and Philip is reported to have loved and respected her deeply. His emotional dependence on her is suggested as a reason to why she never visited Navarre. In 1294, Philip appointed her regent of France should his son succeed him being still a minor. However, he is not believed to have entrusted her with influence over the affairs of France, unless they concerned her own domains Navarre and Champagne. Queen Joan founded the famous College of Navarre in Paris in 1305. 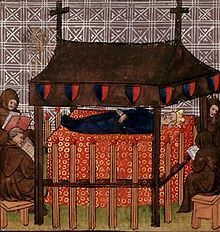 Queen Joan I of Navarre and countess of Champagne and Brie was declared to be of legal majority upon her marriage in 1284, and did homage for Champagne and Brie to her father-in-law in Paris. Joan never visited the Kingdom of Navarre, which was ruled in her name by French governors appointed first by her father-in-law and then by her spouse in her name. The French governors were extremely unpopular in Navarre and her absence from the country was resented: however, it was the French who were blamed for her absence rather than her, and the loyalty to her right to rule was not questioned; rather, it was emphasized in Navarre that it was in fact she rather than the French who was their sovereign. From afar, edicts were issued in her name, coins struck in her image, and she gave her protection to chapels and convents. She never came closer to Navarre than to Carcassonne in 1300, and her spouse was somewhat blamed for this. Joan was much more directly active as countess of Champagne. While being a county rather than a kingdom, Champagne was much richer and more strategically important. Philip IV appointed her administrators, however, Joan visited Champagne regularly and is recorded to have participated in all duties of a ruling vassal and is not regarded to have been passive but an active independent ruler in this domain. In 1297, she raised and led an army against the Count of Bar when he rebelled against her by invading Champagne. This was explicitly in the absence of her spouse, and she personally brought the count to prison before she joined her spouse. She also personally acted in her process against Bishop Guichard of Troyes, whom she accused of having stolen funds from Champagne and her mother by fraud. Joan died in 1305, allegedly in childbirth but the Bishop of Troyes, Guichard, was arrested in 1308 and accused of killing her with witchcraft by sticking an image of her with a pin. He was released in 1313. Her personal physician was the inventor Guido da Vigevano. Wikimedia Commons has media related to Joan I of Navarre. ^ An annotated index of medieval women. Markus Wiener Publishers. 1992. ISBN 9780910129275. Retrieved 2010-03-25. ^ a b c Woodacre 2013, p. 39. ^ Woodacre 2013, p. 25. ^ Woodacre 2013, p. 29. ^ a b Woodacre 2013, p. 42. ^ a b Woodacre 2013, p. 43. ^ Woodacre 2013, p. 35-36. ^ a b Woodacre 2013, p. 40. ^ a b c Woodacre 2013, p. 37. ^ Menache, Sophia (1998). Clement V. Cambridge, England: Cambridge University Press. p. 85. ISBN 0521592194.